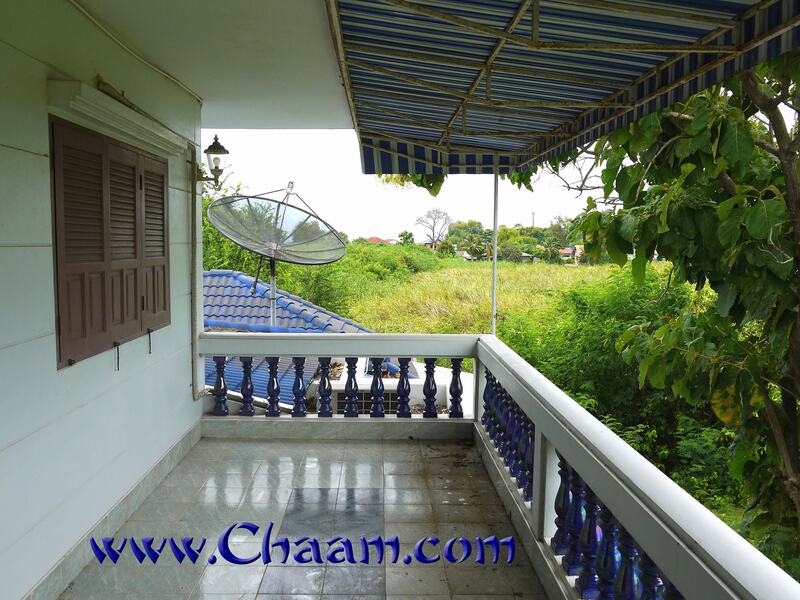 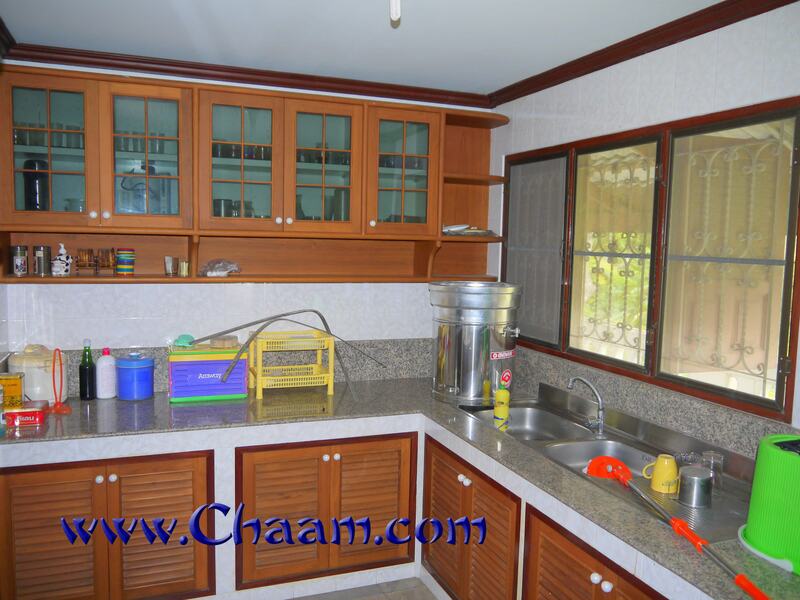 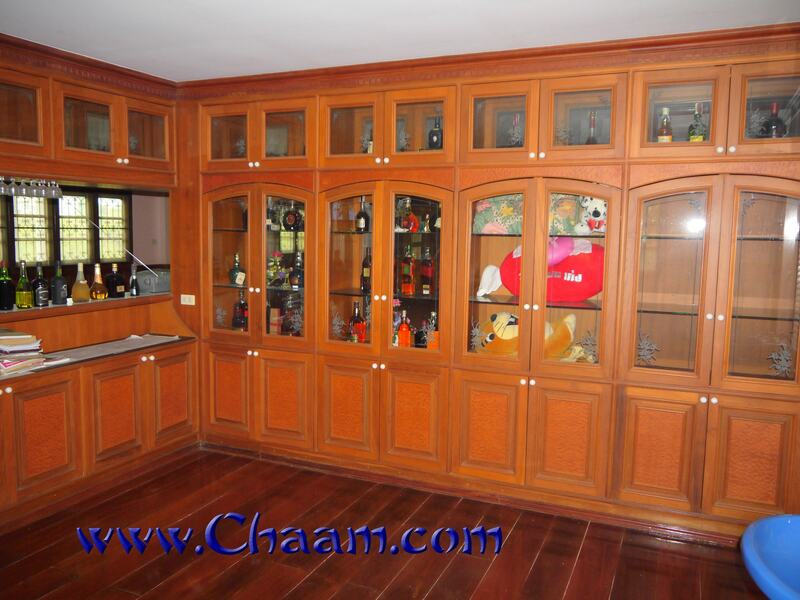 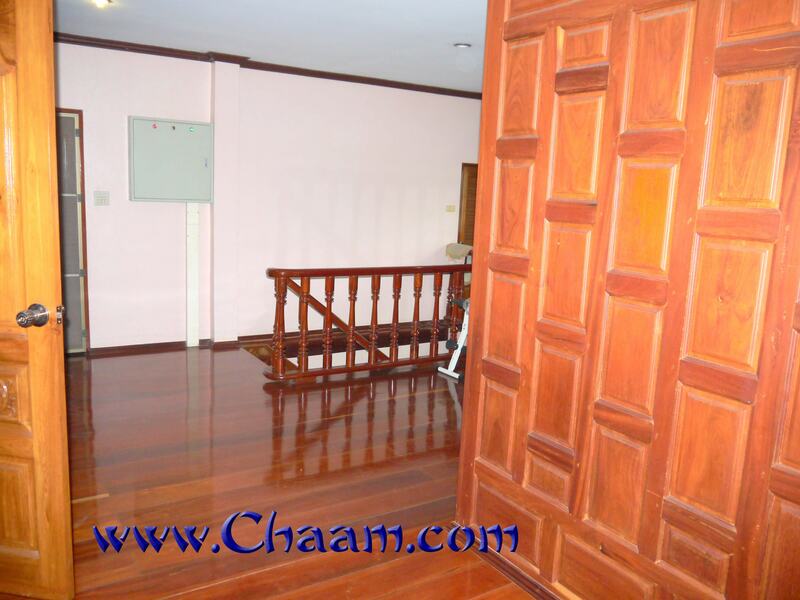 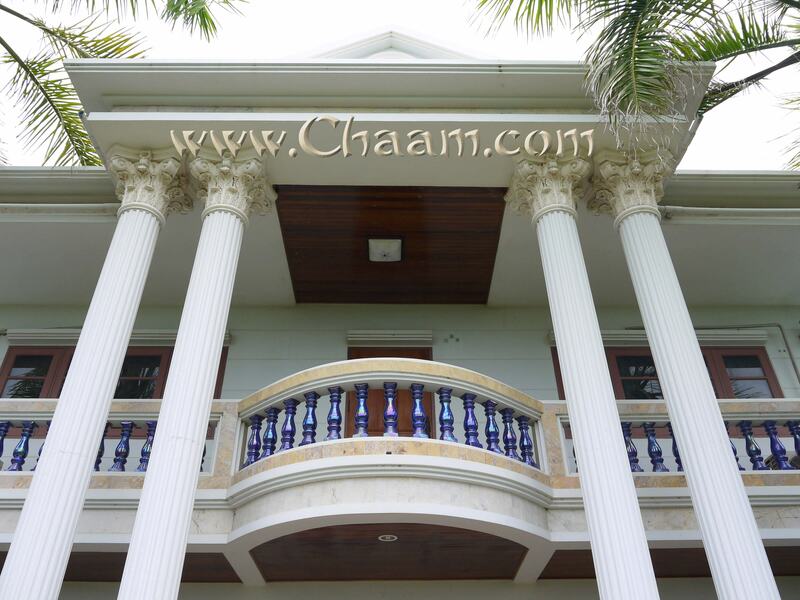 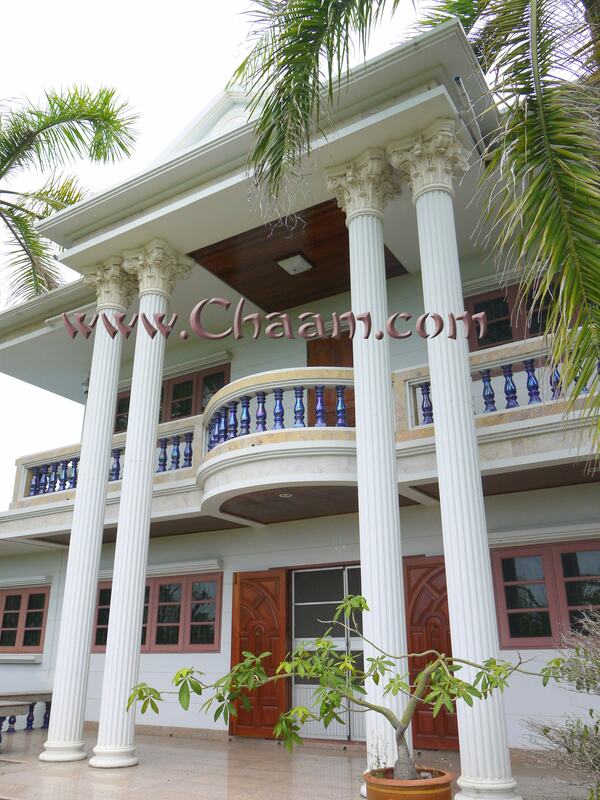 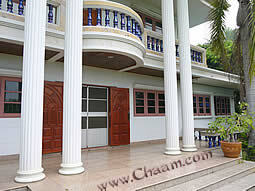 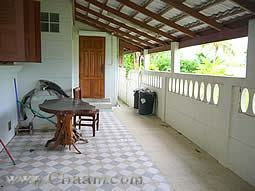 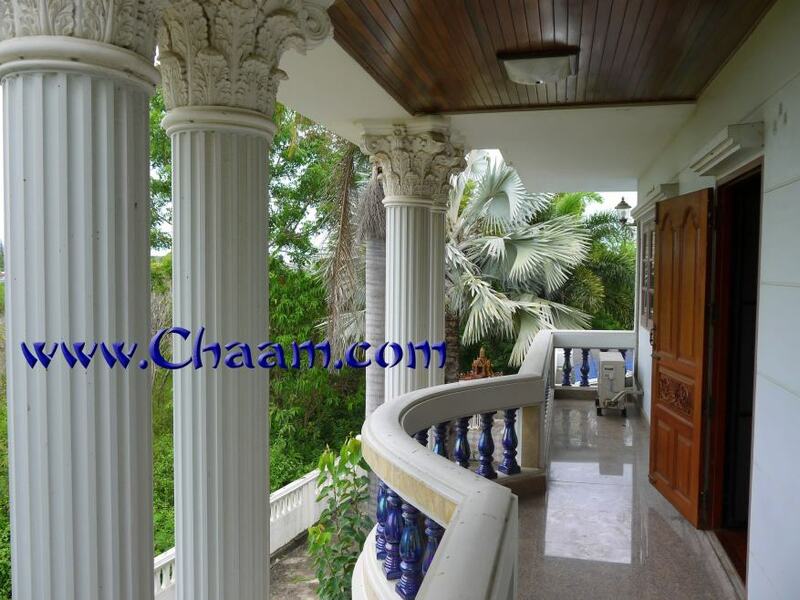 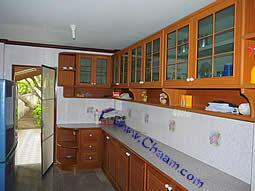 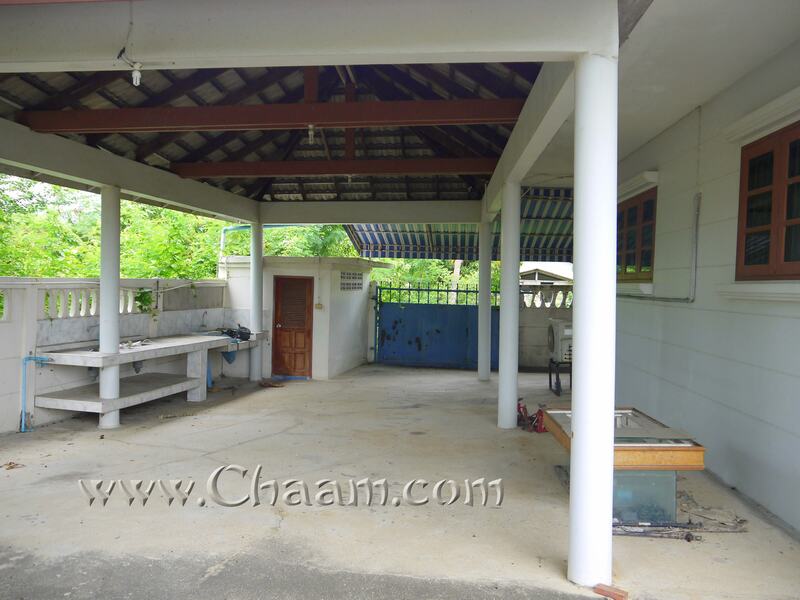 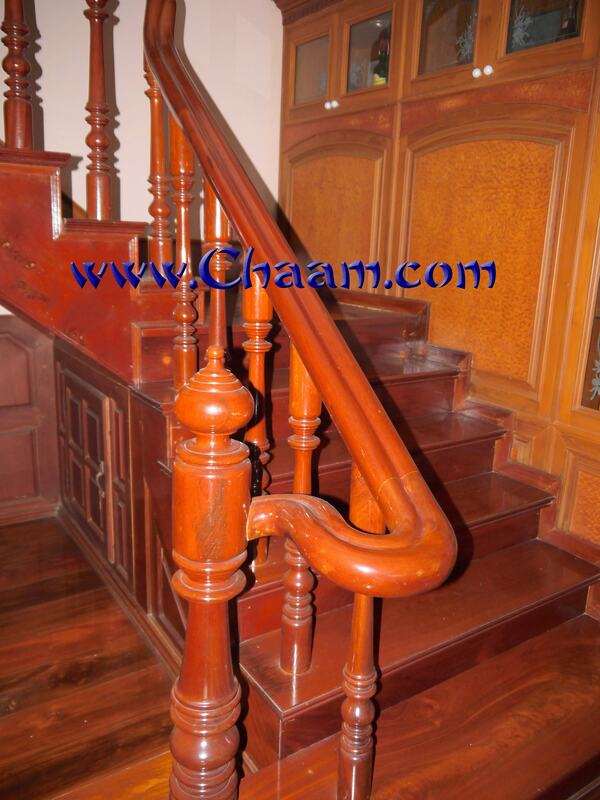 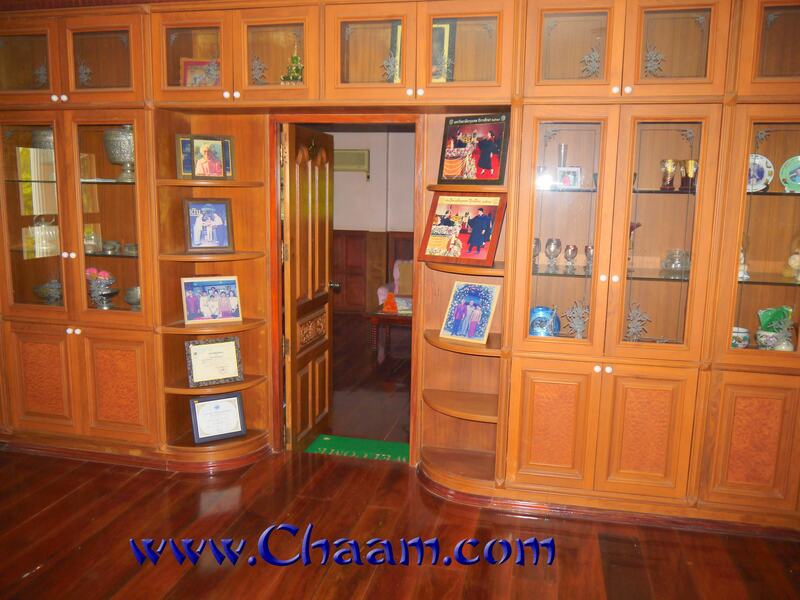 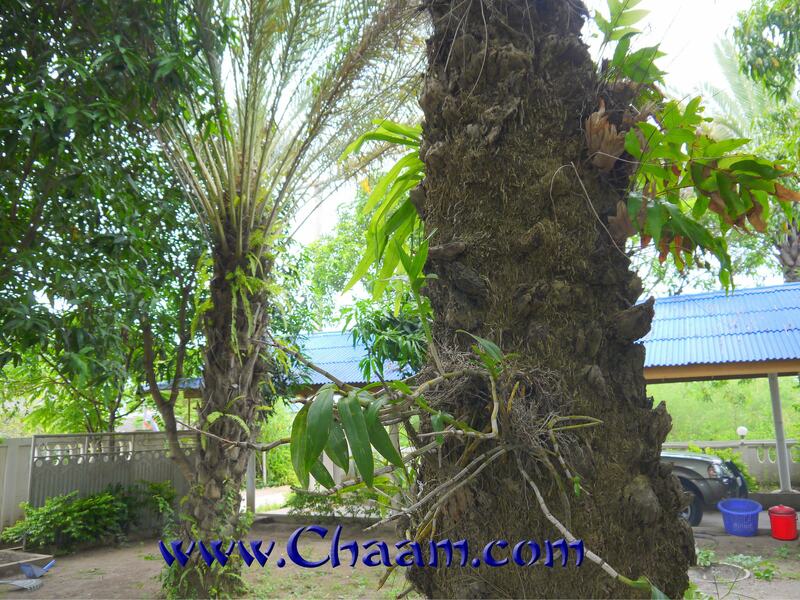 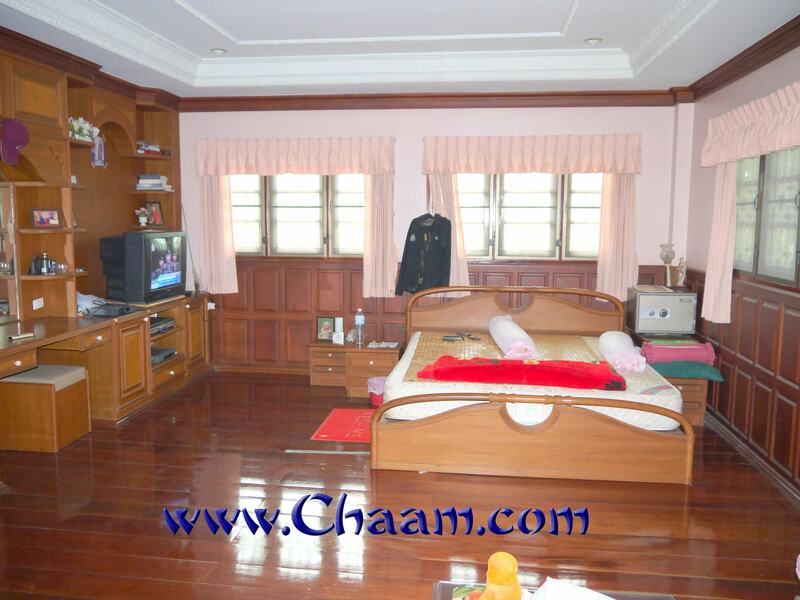 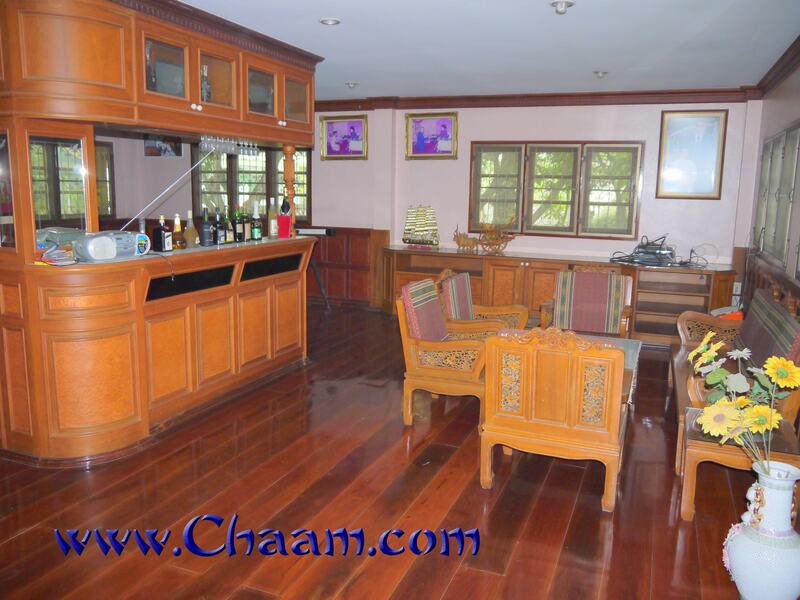 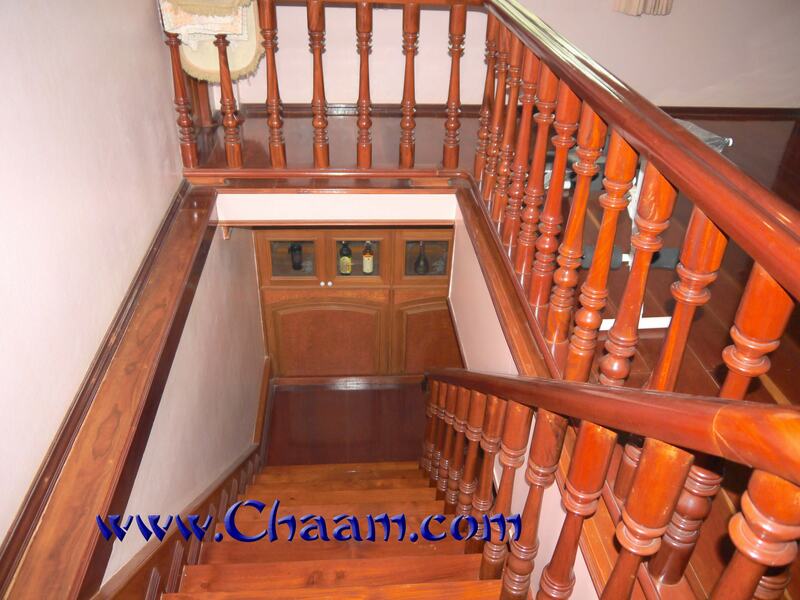 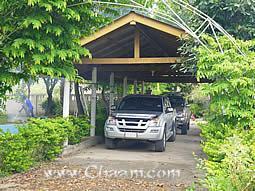 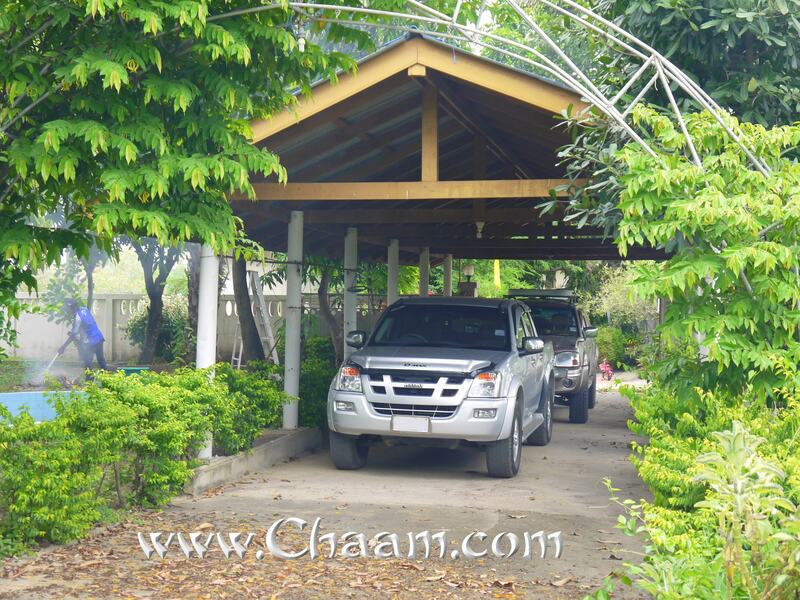 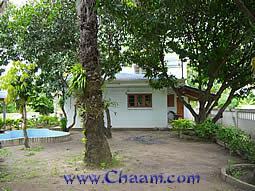 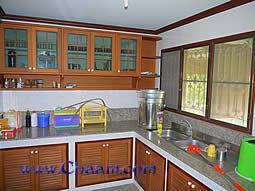 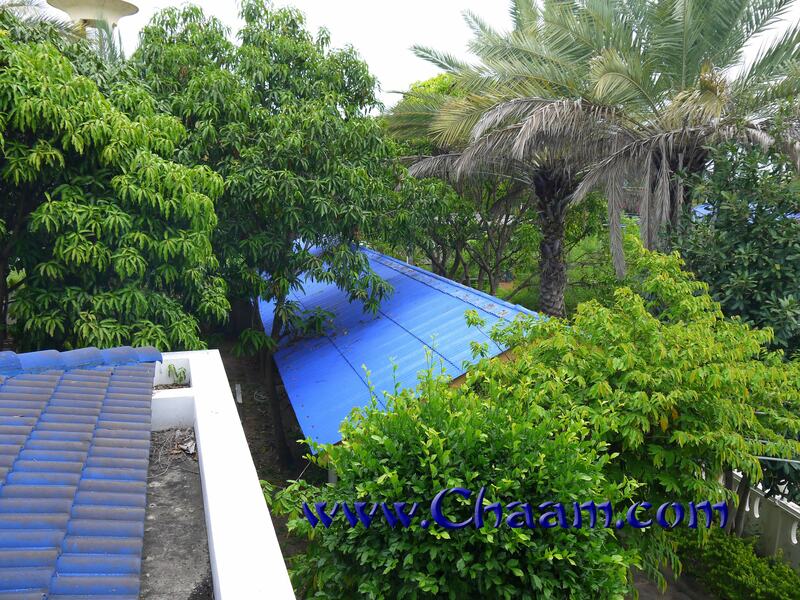 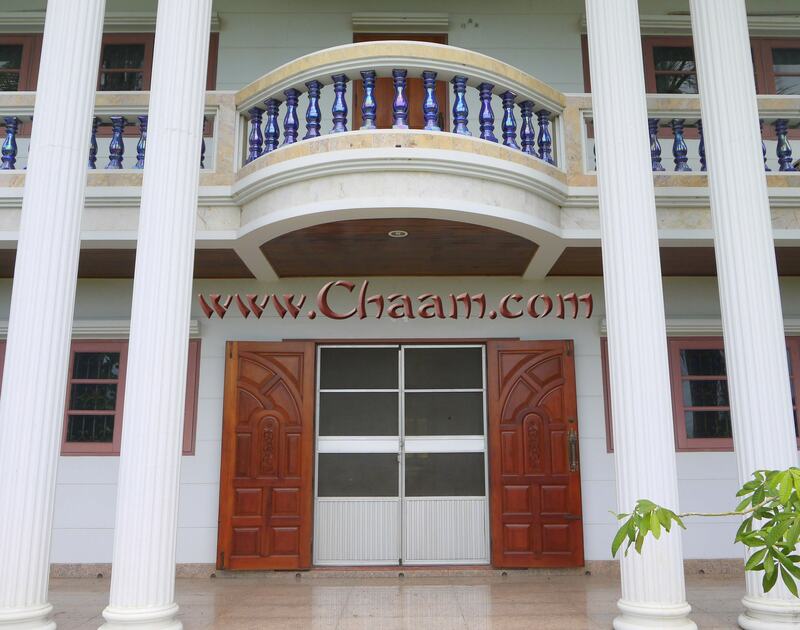 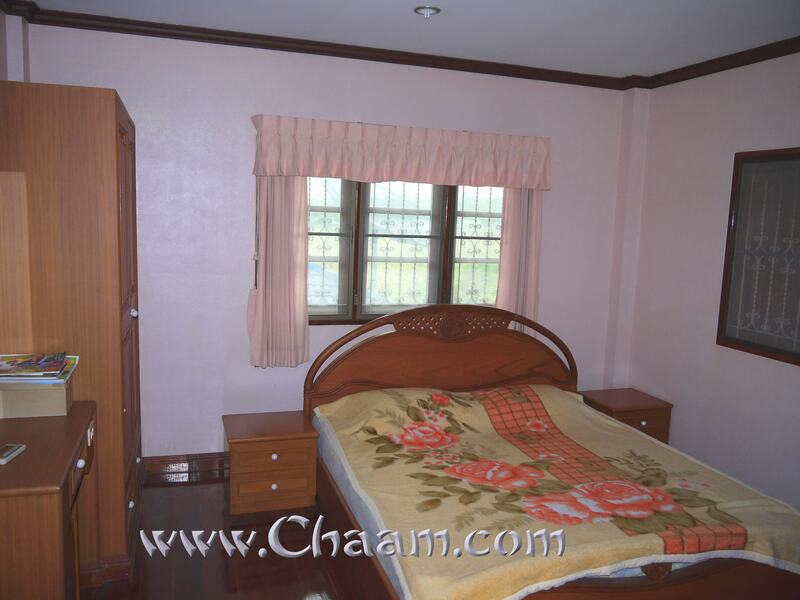 Only a few kilometers south of Cha-Am you can purchase your dream home at a bargain price. 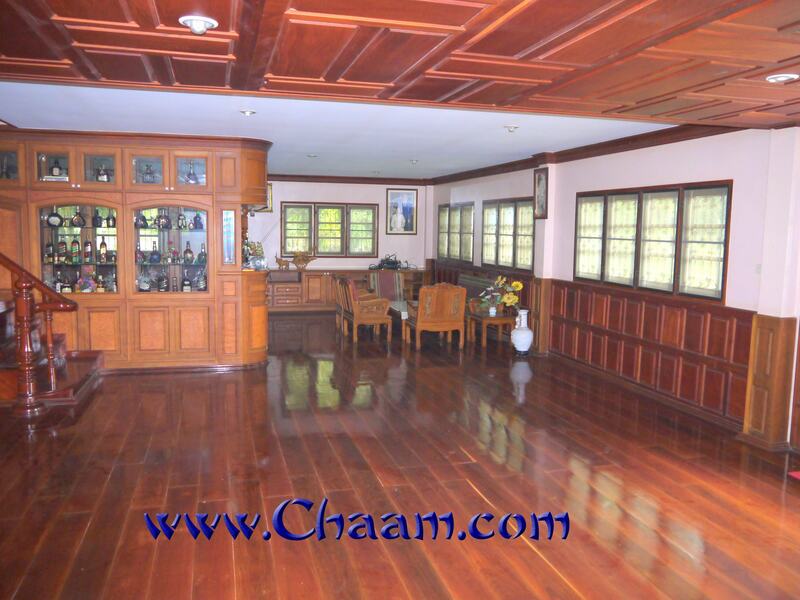 The original purchase price of 22 million baht has now been lowered to 15 million baht. 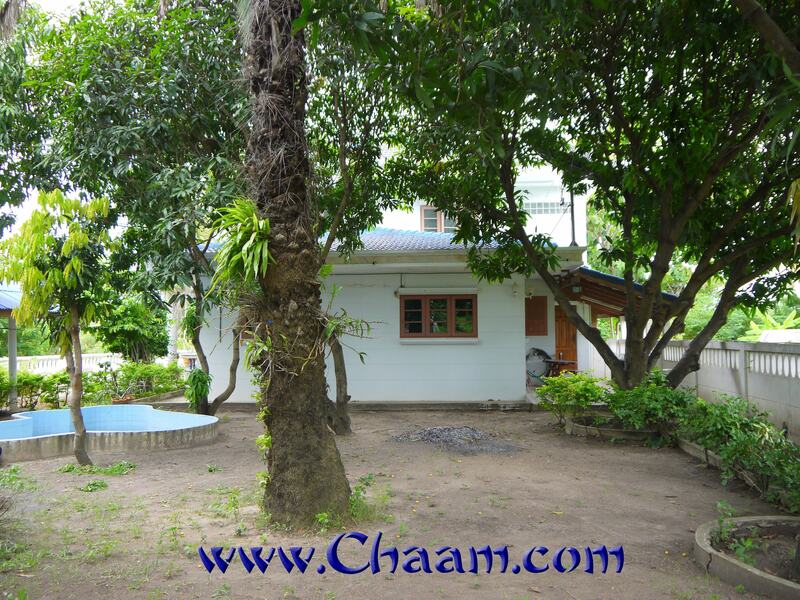 Only the property, which is about two Rai is large, approximately 3,200 square meters, has an value of around 12 million baht without the villa, because the plot is close to the sea. 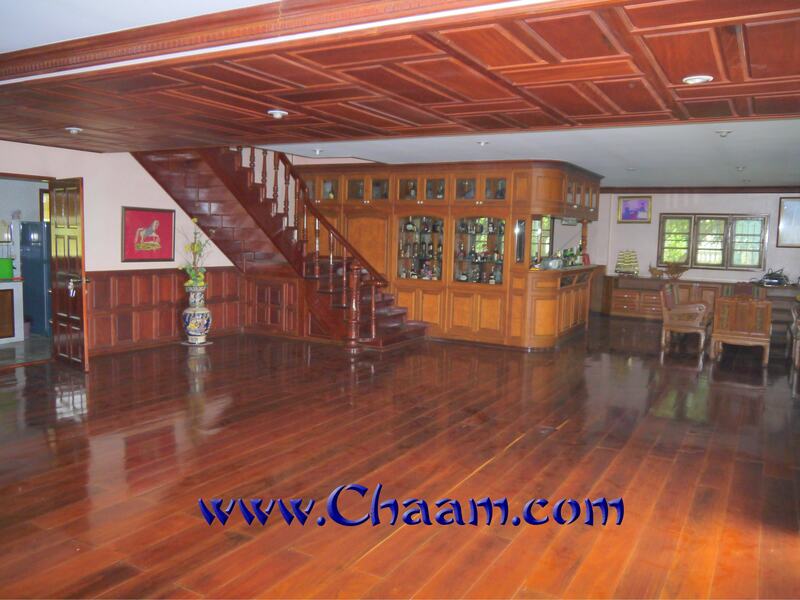 The ultimate luxury of the house consists of the interior that was completely made of rare tropical wood Makamong (Afzelia xylocarpa). The wood is very expensive and very hard to get. It it has a tremendous hardship, is rubust and the structure of the wood is beautiful in dark red colour. It just looks wonderful. 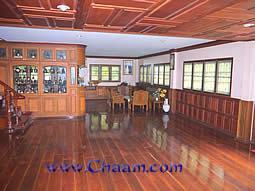 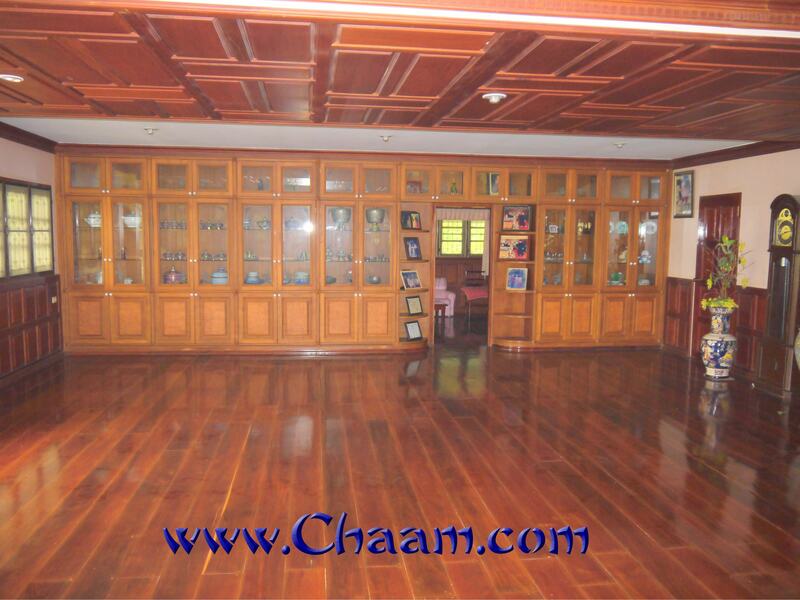 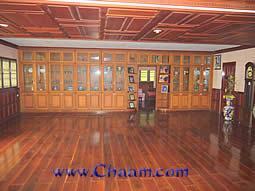 This villa has been build insite almost completely with several tons of Makamong wood. 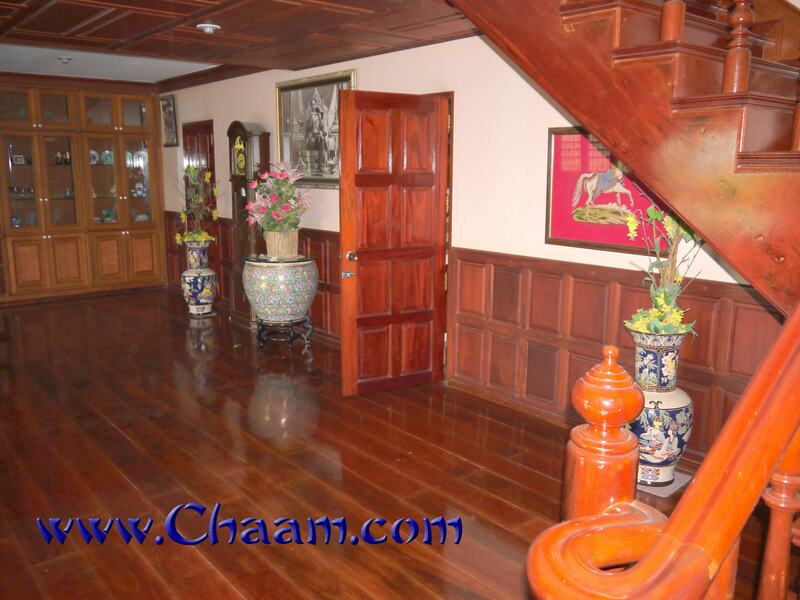 The entire floor, the hand-carved staircase to the upper floor, wall and ceiling, even the doors were carved from this wood. 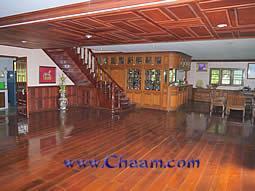 In total around 300 square meters you can enjoy this wonderful wooden floors. 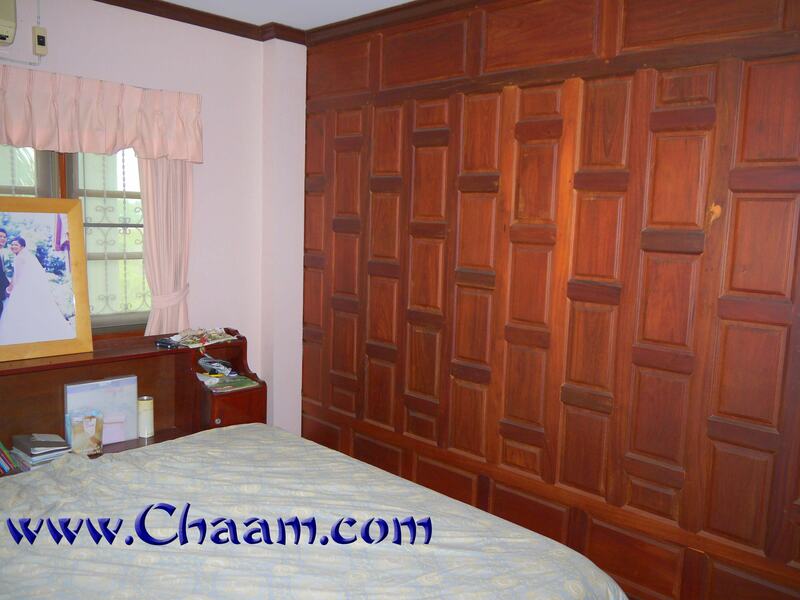 On the ground floor a large wooden wall built in with beautiful ornate wooden walls, with glass doors, which provides a passageway into the lower bedroom. In the groundfloor you find also a fantastic bar, completely in wood. 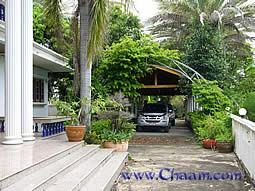 The plot can be driven through two gates and has covered carports for 4 large cars. 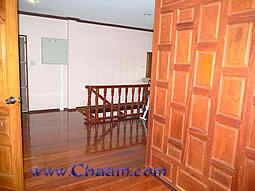 A Swimingpool and air conditioning in the sleeping rooms are also available. 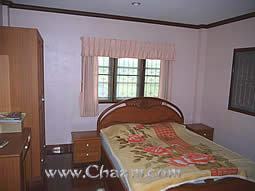 The bedrooms all have two windows, so you can enjoy a wonderful view of nature. On the Terrain are many rare and exotic palms, which help provide much shade. 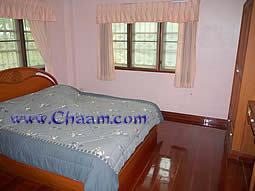 Thus, your villa is not so hot and the close sea let you always feel a sea breeze. 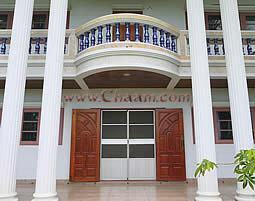 The plots on the right and behind the villa (location to the ocean) belong to the goverment and are not allowed to built on. 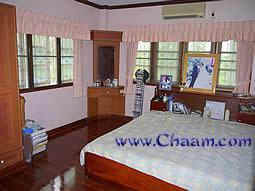 This means that you have two sides to an unobstructed view. 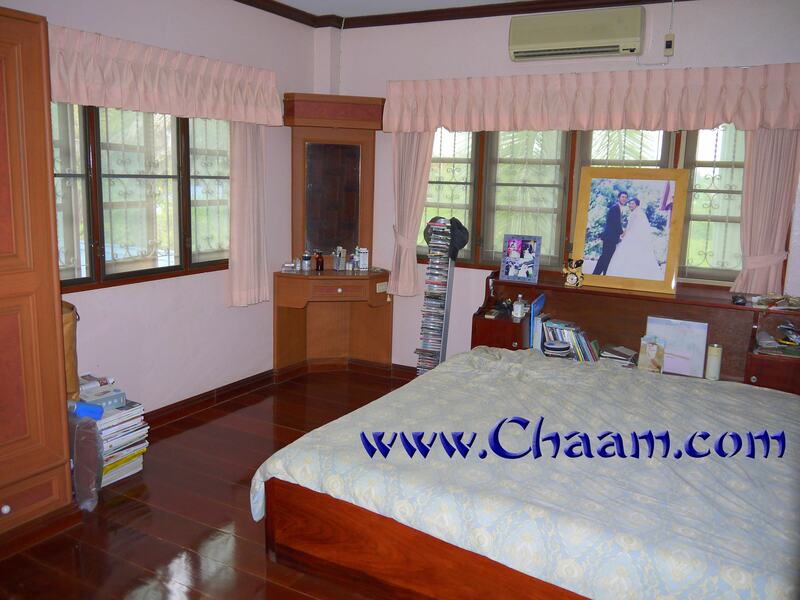 This property is a very good investment, all real estate prices are rising very strong in Cha-Am and Hua Hin and you even get this villa much below the market value. 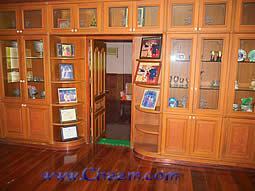 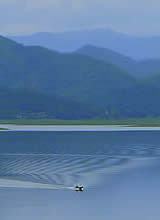 To enlarge the pictures please click on a picture! You reach the front door via a marble staircase. Four huge Roman pillars rise up. 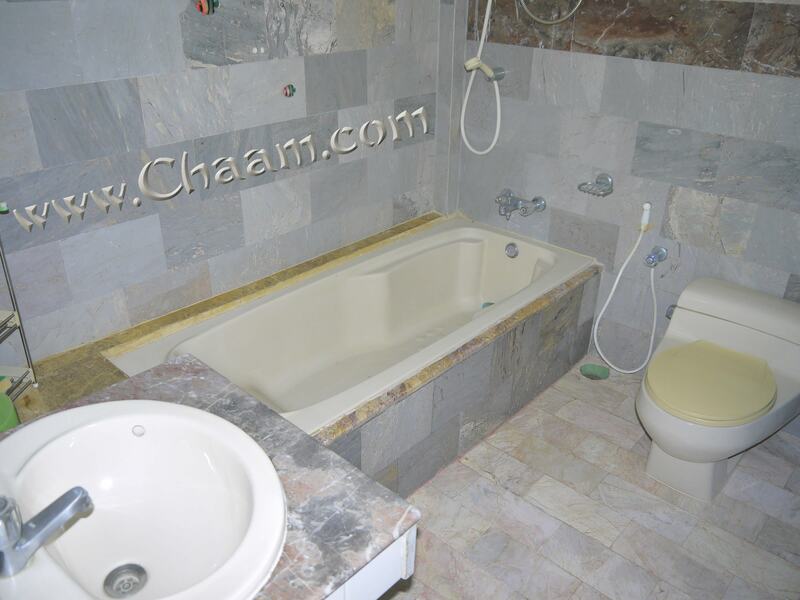 You pay no agency charges.